Check out our daily Lunch Specials Here! Also make sure to 'Like' us out on Facebook for other great announcements and specials! Looking for coupons? Check us out on Merchantcircle.com for all of our latest coupons. 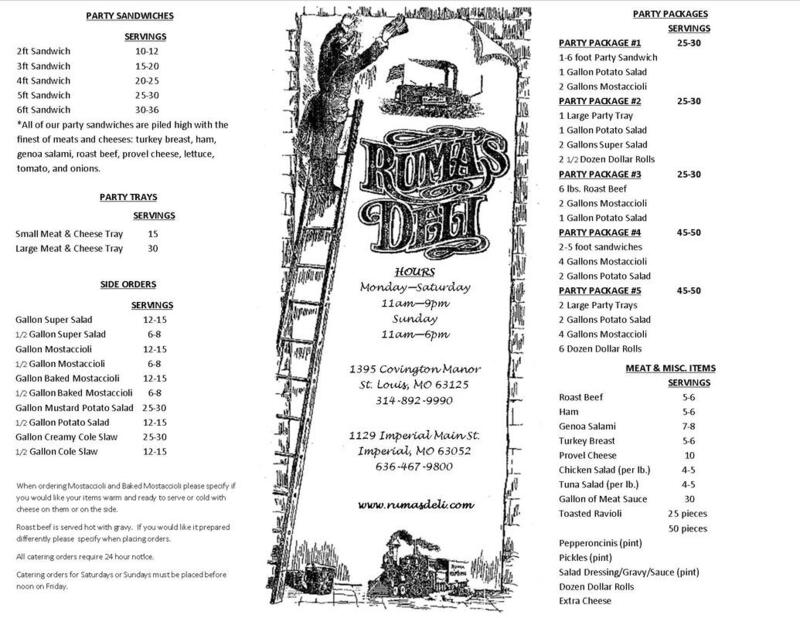 Copyright © 2013-2019 Ruma's Deli, LLC. All Rights Reserved. All information and custom artwork herein is the property of RumasDeli.com. Website Designed and Hosted by WrightWay Business.com .